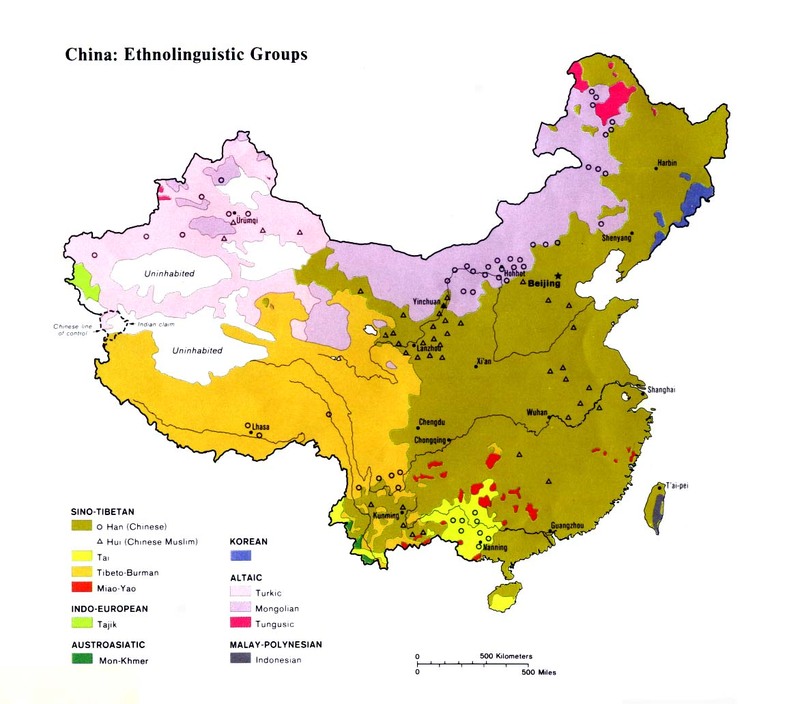 The Wa are one of the most prominent groups in southern China. They have been granted official status by the Chinese, although the Kawa, Lawa, and Ben are also included as part of the nationality. The name Wa means "mountaineer." For centuries the Wa engaged in head-hunting for the purpose of ensuring a good harvest. The practice is still rumored to continue in remote parts of Myanmar's Shan State. The evil spirits that control the Wa demanded human sacrifice to guarantee a good crop. In 1962 a Wa man from Daigela Village cut off a person's head by mistake while working in the fields. The victim's village retaliated by cutting off the heads of more than 60 people from Daigela. In the past, incidents like this often sparked a sequence of killings that would continue for generations. In 1936 more than 100 households in the Ximeng Mountains of China were butchered by the Wa of Zhongke. Only three people were able to escape. "The booty of severed heads was transported back in the loaded saddle-bags of eight cows." There are hundreds of stories of similar diabolical actions. The Wa have an expression, "There is no sight so beautiful as the three-pronged fork" - referring to the poles in their villages that they used to hang the heads of their victims on. Even in the 1950s, after the Communists came to power in China, no effective measures could be found to stop the Wa's head-hunting. There were 110 reported cases in 1956 and 34 in 1957. Before 1956 the Ximeng Wa settlement sacrificed 3,000 cows a year to appease spirits and to obey the orders of the local shamans. Yuesong Village was particularly notorious. This village of 407 households with 1,487 people slaughtered 874 cows for religious purposes between 1955 and 1957 - an average of two cows per household. This kept the people trapped in dire poverty. All the Wa children were stark naked in this village; their parents could not afford to buy clothes. American Baptist missionary William Young was used by God to first bring the gospel to the Burmese Wa in the early 1900s. In a remarkable testimony of God's love and power, thousands of heathen Wa were swept into God's kingdom. Young moved to China in the 1920s. By 1948, 22,369 Wa in China had been baptized. Vincent Young translated the New Testament into Wa in 1938. Although one recent report lists a figure of 75,000 Wa Christians in China, few of these "believers" have even a basic understanding of salvation. Scripture Prayers for the Wa in China.